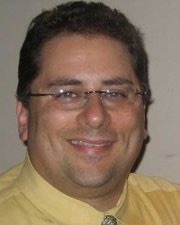 My name is Michael Ginsberg; in 1998 I was developing software for businesses and founded MDG Computer Services, Inc. Following that, by the late 1990’s I created an eCommerce program called “WS4D/eCommerce” which allowed me to share the necessary tools for others to have an online store. Helping out fellow eCommerce companies was something I thoroughly enjoyed. In 2004, the business had changed which led to 3Gstore.com being launched in early 2005. Over the past decade we have continued to expand our online store, becoming very successful in our area of expertise. It was around 2011 that I had our developer create a “Fraud Module”. The ultimate goal was to have every order scored based on a list of several parameters to give us the ability to recognize if an order was okay to ship, or if there was a reason for the order to be looked into a bit further. Over the years we have continued to add in features that allow us to keep current and ahead of the fraud issues that are present for online retailers. Along with that, this has given us the ability to beat the odds of what is typically determined as the acceptable fraud rate-1-2%(or higher), without offsetting the cost of fraud with the cost of managing it. Our goal has always been a rate of 0% and we continue to successfully meet that goal. Over the years, credit card companies have made it harder for fraud to be committed in brick & mortar locations because of the chip & pin advances that have become the norm. This is great news for them, because it is not as easy to commit fraud there. For an eCommerce company not so much, as online fraud orders have increased due to this being one of the easiest avenues available for fraudulent transactions. Even though there has been an uptick in attempts to commit credit card fraud, this is not the only attempt being made as the fraudsters are finding new ways to get around what you would find “typical” for a fraud order. Though, through all of this we have still be able to catch it and stay ahead! So, I decided that it was time to do a few things about the online fraud. First, to release our “Fraud Module” for fellow eCommerce stores to use for questionable orders. This tool will be FREE for others to use, the only thing we require is that you register to use it. This requirement is so that we can manually process those requesting access to filter through and keep the bad guys out! This will only work if you are registered with a domain that is associated with an eCommerce store. We are also offering the option for APIs for sites that are a higher volume, or just want a way to automate the Fraud Module, this however will not be free. Finally, we are also going to share the other types we have come across for fraud attempts that don’t fit the “norm”. This is well documented out with instructions on how to block one type from ever happening. Additionally, we are going to discuss the techniques for being able to identify and prevent it. The Latest Fraud area on our site does require that you register, again to prevent the fraudsters from gaining advantages. The purpose of this site is to have a resource that the “good guys” can use to share information amongst one another, educate and help each other. The fraudsters have their means of sharing, now the good guys have one too!